Food ordering apps are quite popular these days. A lot of startups have launched food delivery services by partnering with local restaurants throughout the world. Ordering food through these services not only gives you the convenience of online booking from home, but also lets you save money through various discount offers. Instead of depending on one particular food delivery service, using multiple services can help you get access to more restaurants in your area (different services usually partner with different restaurants in the same area). Also, you can avail a wide range of offers when you order using different services. Here, we have listed down the top food ordering and delivery apps, categorized globally as well as regionally, so that you can pick the best dishes from a large variety of options. Below are some of the food delivery services that operate across multiple regions around the world. The foodpanda group is a global online food delivery service Initially launched during March 2012 in Singapore. As of now, foodpanda serves food with tie-ups with local restaurants, in more than 40 countries across Asia, Europe, Latin America, Middle East and Africa. The company has partnered with more than 58000 restaurants across the world in supporting regions. Customers can search for partner restaurants that deliver food in their area, and create custom orders by browsing through restaurant menus. foodpanda then processes the orders and sends directly to partner restaurants, who then deliver to customers. There’s also a section where customers can rate and review the restaurants they have ordered food from. Payment options vary according to location, but foodpanda supports the major and popular payment services. Founded in May, 2011, Delivery Hero is a global online food ordering company based in Berlin, Germany, with services in 29 countries, including Sweden, UK, Australia, Finland, Poland, Switzerland, Germany, Austria, Denmark, South Korea, China, as well as several countries in Latin America and the Middle East. The company has acquired Lieferheld in Germany and HungryHouse in the UK to expand its business further. The company currently has a 1500 member staff and operating with more than 100000 partner restaurants across the company’s network. The company’s mobile apps let users to search restaurants by post code or location, browse restaurant menus and order food items from across 40+ different cuisines, including Indian, Chinese, Thai, and Italian. Payments are accepted online via Visa, Mastercard, Paypal, Amex, or Diners Club. 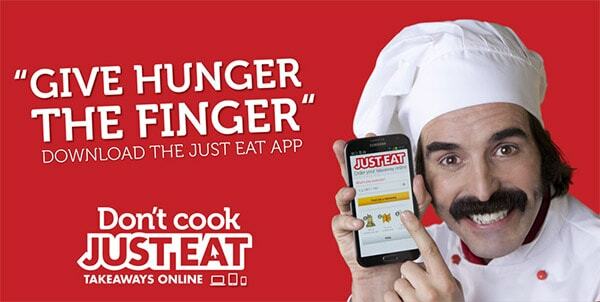 Just Eat is an online food delivery service based in London, UK, which acts as an intermediary between independent food takeaway outlets and customers in different parts of the world. Currently, Just Eat operates in 13 countries worldwide, including Belgium, Brazil, Canada, Denmark, France, Ireland, Italy, Mexico, the Netherlands, Norway, Spain, Switzerland and the United Kingdom. The company currently has apps available for different mobile platforms in different regions. For example, Just Eat offers iOS, Android and Windows Phone apps for UK, whereas in India, only the Android app is available. The apps allow users to search for local restaurants to place orders online, and to choose from pick-up or delivery options. These are a few of the online food delivery companies that offer services globally. But even though these services might be available in your region, you might be looking for local food delivery services that are more popular in your area. Below are some of the regional food delivery services that are popular only in limited regions. GrubHub Inc. is a Chicago-based food delivery service operating across more than 800 US cities and in London. The company connects diners and corporate businesses with thousands of takeout restaurants that it partners with. The organization was formed when two independent companies, GrubHub and Seamless, combined together in a merger in August 2013. GrubHub Inc. includes four different food ordering brands under its wing — GrubHub, Seamless, MenuPages (acquired by Seamless in September 2011) and Allmenus (acquired by GrubHub in September 2011). To order food, users can choose various cuisines, menu items and nearby restaurants. You can track the order status within the app as you wait for delivery. You can make payments for your orders via cash, credit or PayPal. GrubHub apps are available for Android and iOS. Eat24 is a mobile and web based food delivery service that operates with more than 20000 restaurants across 1500+ cities in the US. The app allows users to search by location, specific nearby restaurants, cuisines, or even specific dishes. Eat24 is now acquired by Yelp and so the app integrates Yelp restaurant reviews within the app. Payment options include credit cards, Google Wallet or PayPal. Eat24 has an excellent customer support over live chat, email and phone 24 hours a day, everyday. DoorDash is an on-demand food delivery service that connects customers with local restaurants. It was founded in 2013 at Stanford University. As of now, DoorDash operates with hundreds of restaurants across the US and get food delivered to you within 45 minutes of placing the order. The company has iOS and Android apps that help you locate restaurants, select dishes and order food right from your mobile device. TakeAway.com is a Dutch company specialized in online food ordering and delivery services. 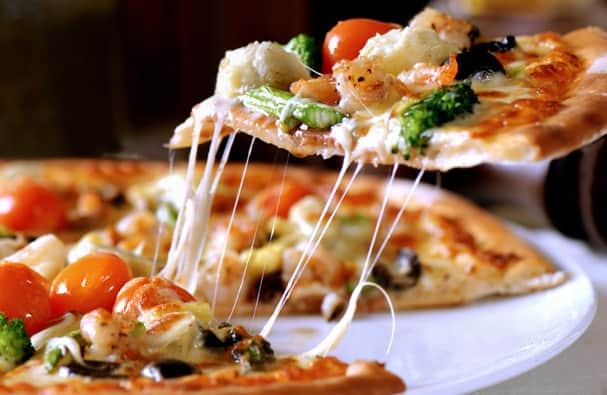 It connects customers to local restaurants across Europe and operates under different brand names in different European countries — Lieferservice.at in Austria, Pizza.be in Belgium, Pizza.fr in France, Lieferando.de and Lieferservice.de in Germany, Pizza.lu in Luxembourg, and so on. The company provides mobile apps for iOS, Android and Windows Phone. Ordering through the app is quite simple. Fill in your post code, street name or simply let the app find your location automatically. TakeAway will list down nearby restaurants and let you browse menus and order dishes. Once you’ve placed an order, Food Tracker helps you track your order right from the restaurant kitchen to the moment it reaches your doorstep. Payment options are simple as well. You can pay with credit card, PayPal and even cash on delivery. Generally speaking, Asian people are born foodies. And the online food delivery marketplace seems to have noticed it. Recently, there has been a rush of several startups launching food delivery services in different cities across Asia. Here are some popular food delivery apps operating within Asia only. The popular food and drink discovery service Zomato, has introduced a new online food delivery service called Zomato Order in India. Currently, the service is available to customers in Delhi NCR, Bangalore, Mumbai, Pune, Hyderabad, Kolkata, and Chennai. But the company has plans to expand the service to other cities in India as well as globally in future. Users can order food from nearby partner restaurants and pay the bill via cash, Net Banking or Zomato Credits. As of now, credit and debit card payments are not supported by the apps, but the feature is to be included soon. TinyOwl is another Indian based food ordering and delivery startup, working with local restaurants in Bangalore, Gurgaon, Hyderabad, Mumbai and Pune, to get food orders delivered to you. It is available in the App Store and Google Play, and offers features similar to TastyKhana. EatOye is a food delivery startup in Pakistan operating with 1000+ restaurants in 16 cities, including Karachi, Lahore, Peshawar, Islamabad, and more. It is headquartered in Karachi and a staff based in Lahore and Islamabad. The company has iOS and Android apps that help users to order food from nearby restaurants directly from their smartphones and get it delivered to home. Just select your area, pick the restaurant and order using interactive menus and then sit back and wait for the food to be delivered. If you feel that we have missed any food delivery service worth mentioning from your area, let us know in the comments below. While mentioning the name of the app, also tell us the region where the service is popular in.